Metric Coarse Grade 316 Stainless Steel Cup Head Bolts are supplied with a corresponding grade nut & standard flat washer. The included nuts & flat washers are supplied at no extra cost. 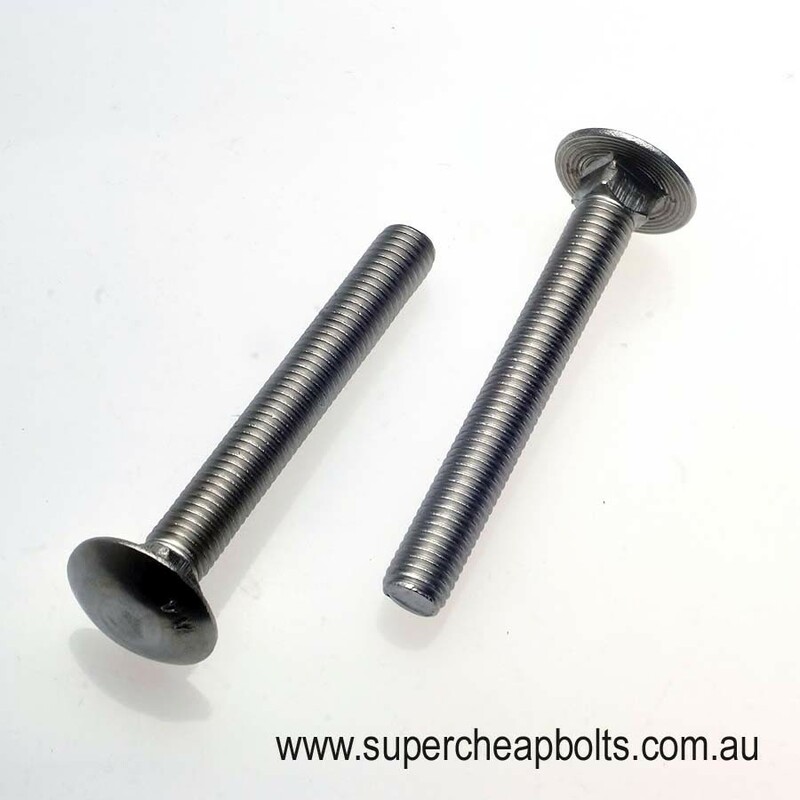 Supacheap Bolts Cup head bolts (also known as Coach or Carriage bolts) are manufactured to DIN Standard 603 / A4 316 and have a low profile mushroom head and square under the head which bites into timber preventing turning of the bolt when it is being tightened. Designed for general bolting of timber to timber and timber to stainless steel for external use giving high corrosion protection. Supacheap Bolts currently stock M6, M8, M10 and M12 diameter cup head bolts up to 180mm in length for certain diameters. Cup head bolt lengths are measured from under the head.